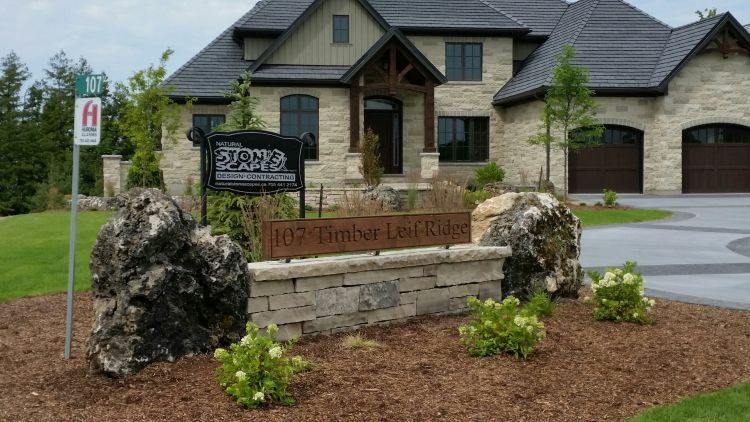 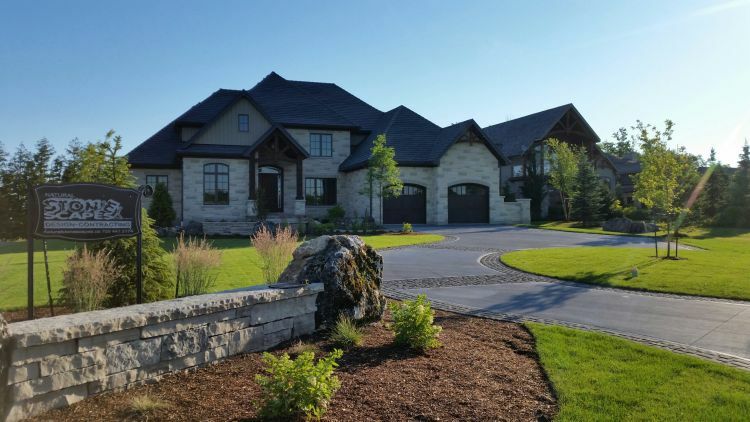 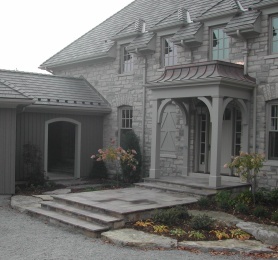 For this new home at the prestigious Georgian Bay Club near Thornbury, Ontario, we were called upon to create and stone and concrete features that would complement the home’s classically styled stonework exterior. 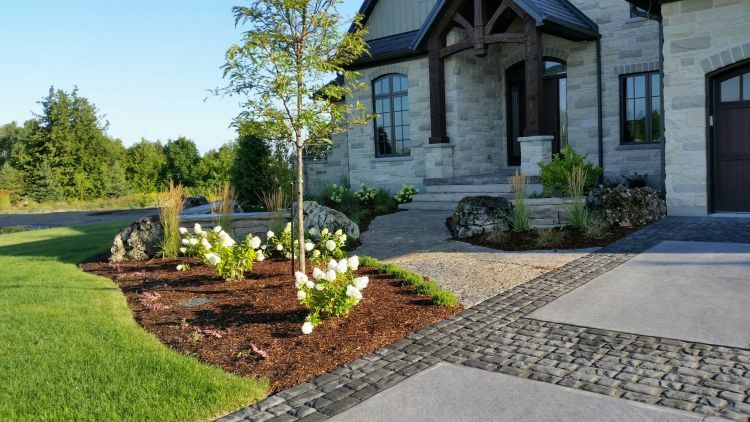 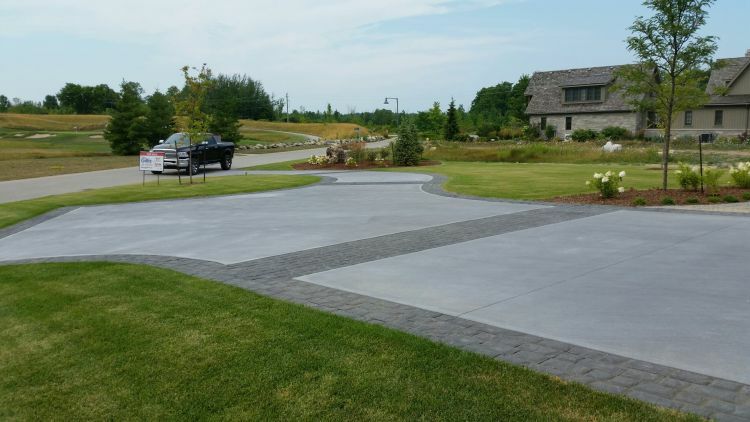 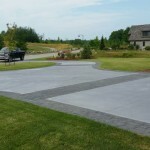 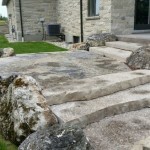 Features include an inviting driveway of coloured concrete accented by tumbled stone borders and banding; natural limestone boulder retaining solid jumbo flagstone steps; tightly-fit jumbo flagstone walks and patios; and dry-stacked retaining and sitting walls that are both functional and decorative. 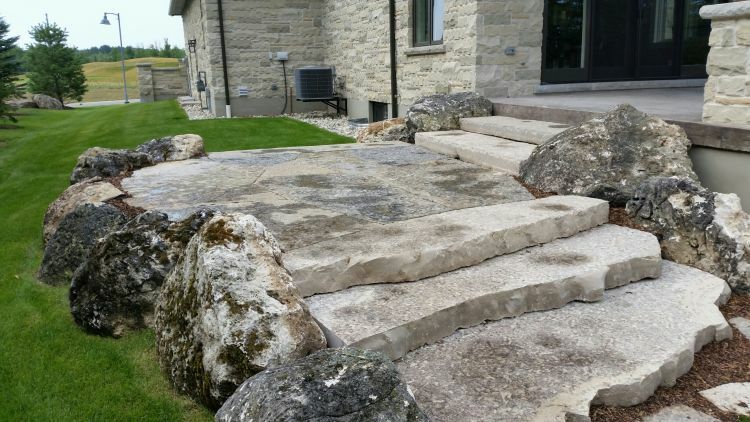 If you're building a new home, renovating an existing landscape, or considering installing a high end swimming pool in a striking setting, contact us to learn how we can help. 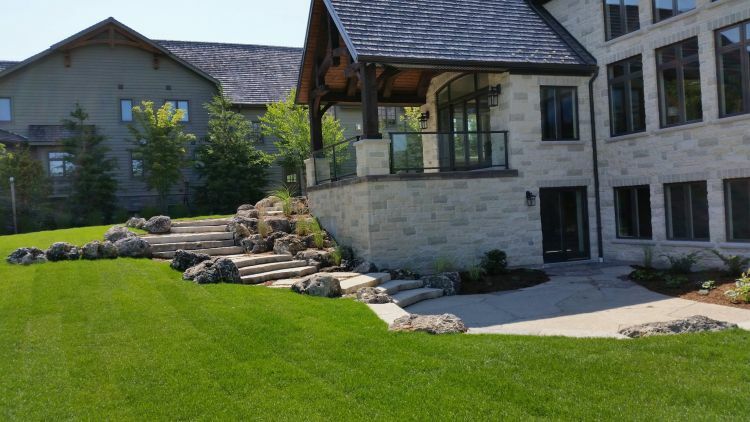 Natural Stonescapes, Inc. is an Ontario-based family-owned design-build landscape company, which specializes in natural stonework and custom swimming pool installations in the Collingwood, Thornbury, Blue Mountains and Meaford, Ontario area. 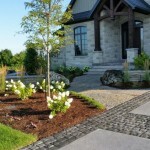 © 2012-2019 Natural Stonescapes, Inc.